Although we often complain about the accolades received by all of the blue-eyed soul from across the pond (i.e. Adele and Sam Smith,) are we acknowledging the beautiful, black soul singers from the same place, contributing amazing sounds and scenes to the genre of soul? I, for one, think that the African Diaspora in Europe is tearing it up in regards to soul music, where we stateside soul singers are clinging to the few that we've always clung to (no disrespect to Erykah, Jill, D'Angelo, Musiq Soulchild and even Tank, who have been formidable in keeping soul music and R&B meaningful.) There are two artists that I appreciate, however; who are making beautiful music that's relevant to our struggles as a people, are highly original sonically, and reference back to tribal music in all of their sounds. Laura Mvula, from Birmingham, England, released an incredible debut album, Sing to the Moon, in 2013. She's back with an uplifting new single, "Overcome," which falls in line with the perils black folks are facing in America right now. Her bridge resonates: It ain't no time to die, die/Even though we suffer/Come together, be brave/Come together/All God's children, come. Accompanying an already remarkable song is a visually stunning video, with Mvula clad in gold and surrounded by gorgeous dancers. Kwabs is a Ghanaian-British jewel from London, England. I first heard his music when crate-digging on Soundcloud, and was taken away by his strong lyrics and penetrating voice. 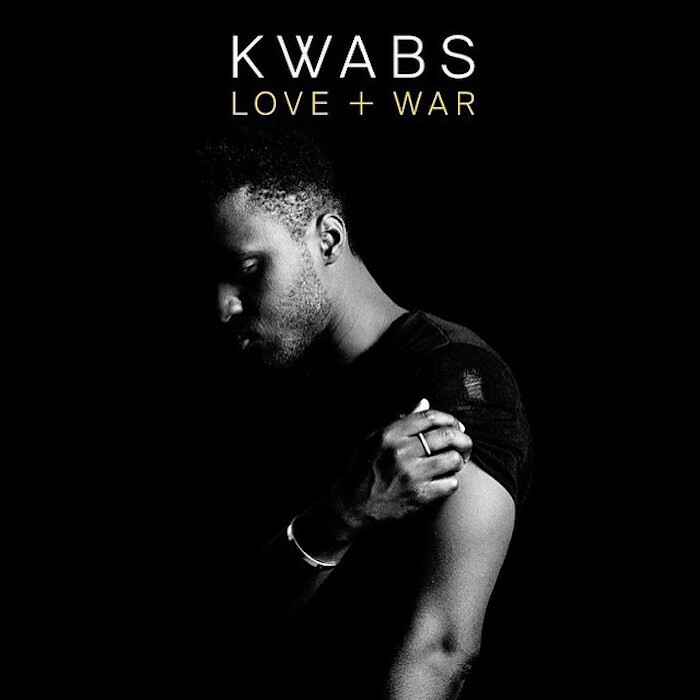 Photo: thefourohfive Signed to Atlantic Records, Kwabs released his debut album Love + War in September of 2015. What I love most about Kwabs is that his style, although full of instrumentation, never overcomes the vocals. His voice is always first and foremost, allowing the music to color the story more than drive or control it. His single, "Perfect Ruin," reads as the most unexpected wedding song of someone with amazing taste, the hook moving to crescendo with the words: "Somehow it moved me/Your love has powers over me/Oh what dream is this?/Somehow it towers over me/Send your love to move me/My world has powered over me/In perfect ruins/Somehow it towers over me." His paramour never appears in the video, rather we see him traveling through cold, darkness and fields of snow. I assume he is running toward the one who will keep him warm. This is the essence of soul music, the love story we've heard a million times, made new through the lens of black brilliance. What soul singers have you found as you've gotten lost in the spider web that is Soundcloud? Share and post below!